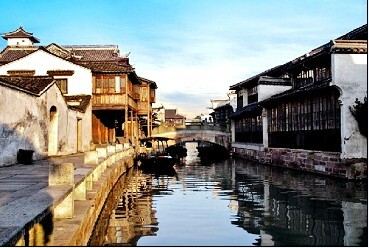 With a history of 1,200-year, Wuzhen is about one hour's drive from Hangzhou,the capital of Zhejiang Province. The streets there all run alongside rivers with bridges for intersections. Houses are built along the rivers, and they are typically imposing dwellings with spacious courtyards, overlapping roofs and high eaves. In 2007, the reconstructed western part of town, Xizha, was opened to visitors. Xizha used to be the largest and most prosperous area of town, and dozens of intact Ming-and-Qing style buildings line the streets.